QRmaint is a maintenance management software that uses QR codes to manage and track the maintenance of equipment and facilities, and availability of spare parts. Every asset, building, location, and device has its own unique QR code so that they can be easily scanned to retrieve information. 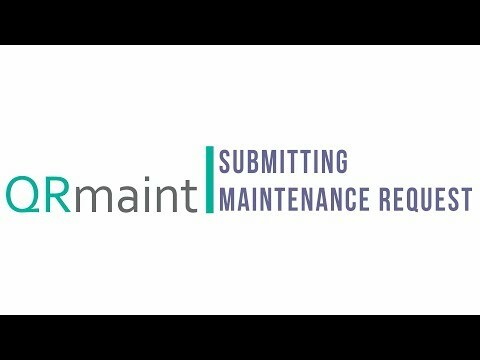 QRmaint can be used to submit and handle maintenance requests, carry out building inspections, track assets, manage work orders, schedule jobs, and more. We do not have technicians in our company. All failures are handled by external companies. QRmaint enabled us to report the defect by scanning the QR code. The service provider receives an email and confirms the acceptance of the application in our system. I have been using QRmaint for the last 4 months it's user friendly and customer service is great. QRmaint team solved all my problems very quickly. The application is an assistant for all inspections of our machines used in production. Much easier for us to maintain assets. Importing data from csv could be useful. Maybe you'll create various reports related to assets in the future. QR code scanning for easy access to information. Asset management is made easier by scanning items. Work order management tools such as task assignment, calendar, and reports. The work scheduling feature provides reminders and checklists for jobs. Reports and records can be accessed on-the-go for any device. Below are some frequently asked questions for QRmaint. Q. What type of pricing plans does QRmaint offer? Q. Who are the typical users of QRmaint? Q. What languages does QRmaint support? Q. Does QRmaint support mobile devices? Q. Does QRmaint offer an API? No, QRmaint does not have an API available. Q. What other apps does QRmaint integrate with? Q. What level of support does QRmaint offer?